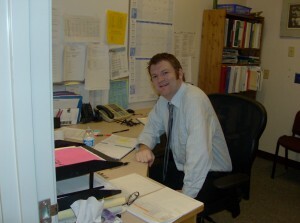 My name is Jay Dixon I am currently the Vice Principal of Port Hardy Secondary School. Technology has been a personal and professional interest area to me for many years. I am always looking to learn something new with technology and try to incorporate aspects to support education within my school. This fall I am also wearing the hat of the DL coordinator, designer, IT guy, and a few other large hats in order to start up a pilot DL school within our district. It is quite a bit of work,but a great learning experience (especially for a newbie on Moodle and barely hour a day to work on it). Good to see you again, Jay. And congrats with both the end and beginning in sight! Congrats on the kid-to-be. It’ll be good to have another class with you. Sounds like things will just be getting busier and busier for you. Best of luck with everything, and I look forward to working with you.